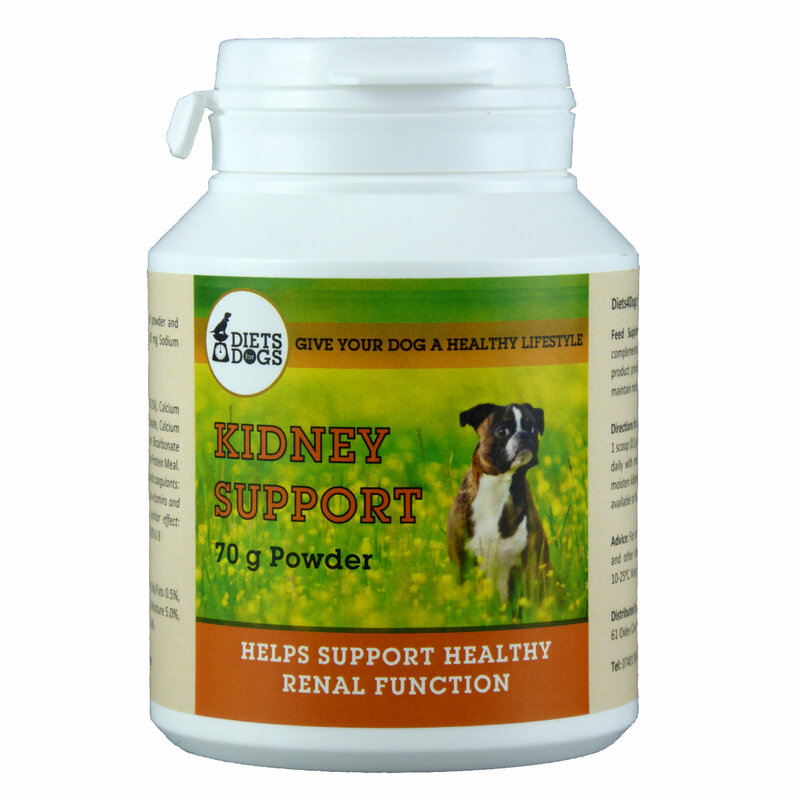 This product helps support renal function in dogs and cats with renal insufficiency or chronic renal failure. It uses a combination of calcium salts and chitosan to bind excessive phosphate and toxins present in the gastrointestinal tract from entering the body and causing further damage to the kidney nephrons and other body tissues. Sodium bicarbonate prevents acidification and maintains normal physiological pH of the blood, urine and intracellular fluids. 1 scoop (0.5g powder) per 5 kg of animal bodyweight twice daily with meals. Ensure water is available to the animal at all times.